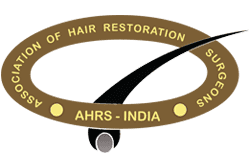 There are certain conditions that are known to most people, however, there are certain hair related problems, which are not recognised as easily. One such condition, which affects a large population, but is still relatively unknown to numerous is central centrifugal cicatricial alopecia. In this article, we aim to dissect this condition and understand every facet of this condition. Central Centrifugal Cicatricial Alopecia or CCCA is actually a sub category of scarring alopecia, which is concentrated mainly on the scalp. Being a scarring alopecia, the involved hairs are lost permanently.The hair loss is gradual and there are almost no symptoms as such. But certain people have been known to feel itching, burning or even tingling on their scalp. This condition is most often observed in women of African American descent; although there have been cases of people from other races suffering from the same too. Women in their middle ages are most susceptible to this condition. This condition is not contagious. What causes Central Centrifugal Cicatricial Alopecia? Improper hair care practices are perhaps the most common cause – chemical treatments such as straightening and perming that are not done properly, using excessive heat, pulling hair too much for braids or weaves. There is premature degeneration of the internal root sheath and later destruction of the hair follicles. CCCA is not a condition that presents itself immediately – it is a condition that develops over years. What are the features of Central Centrifugal Cicatricial Alopecia? The condition most often starts near the top of the scalp (vertex) and spreads outwards. In many people, the scalp area that has been affected starts to become shiny. Whatever hair that does remain becomes extremely fragile and dry. 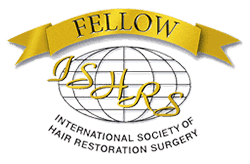 The hair loss will be gradual and progressive, which means that people suffering from the condition can expect massive hair loss, spread over an extended period of time. How is Central Centrifugal Cicatricial Alopecia diagnosed? The method of diagnosing CCCA is actually quite simple – a doctor will look at the scalp to gauge the hair loss, he or she might pull out a few hair to take a closer look at the hair follicles. A scalp biopsy is done in suspected cases to confirm the condition. The biopsy is also important to determine the presence of associated inflammation and the severity of follicular damage.Premature degeneration of the inner root sheath if present further substantiates the condition. How can Central Centrifugal Cicatricial Alopecia be treated? 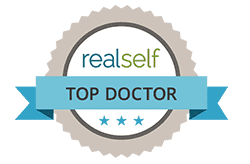 While there is no established treatment that has proven completely effective, there are few treatments that have shown certain positive effects. The aim of these treatment procedures is to ensure that the condition does not progress any further and if possible, the effects of the condition are reduced to a great extent. Perhaps the most common course of treatment is the prescription of medications such as topical steroids, topical anti-inflammatory lotions or calcineurin inhibitors. Doctors might also prescribe doses of oral medications such as Tetracyclines, Hydroxychloroquine. Medications such as Minoxidil might also be prescribed. 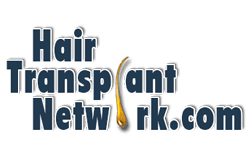 In cases, where the hair loss is truly severe, there is also the option of a hair transplant procedure, provided the disease has been stable for a year. What are the precautions that need to be taken by people suffering from Central Centrifugal Cicatricial Alopecia? 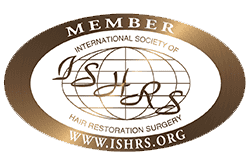 In most cases, it has been proven that incorrect hair practices are the leading cause for this condition, which is why ensuring that you rectify the same becomes crucial. If you are someone who wears their hair in tight braids or has their hair woven regularly, you might want to discontinue the practice. Avoid having any extensions put into your hair, because these too strain the hair. If you are getting any hair relaxation methods done, make sure that you get the same done from a professional. There should also be a gap of a few weeks, in between each such procedure. It is important that you reduce the usage of heat on your hair, which means that you will have to limit the usage of blow dryers, curling and straightening irons.